Background/Purpose: Baricitinib (BARI), a selective inhibitor of Janus kinases, is approved in >40 countries for the treatment of active rheumatoid arthritis (RA) in adults. Patients (pts) with RA have increased cardiovascular (CV) risk, including for arterial and venous occlusive events. This analysis provides an update to CV safety in pts treated with BARI for up to 6 years. Methods: Data were pooled from 8 Phase 1-3 studies, including a long-term extension study (LTE) up to April 1, 2017, and analyzed in 3 sets: 1) All BARI RA (all pts exposed to any BARI dose); 2) Placebo (PBO)-controlled (6 studies comparing BARI 4-mg once daily [QD] to PBO, 0-24 weeks); and 3) Extended 2- vs 4-mg (4 studies with BARI 2- and 4-mg QD, including LTE data). Major adverse cardiovascular events (MACE) were adjudicated in Phase 3 by a blinded, independent panel. Study database preferred term searches identified arterial thrombotic events (ATE; adjudicated where applicable) and events of deep vein thrombosis and/or pulmonary embolism (DVT/PE; analyzed without adjudication). Risk factors were analyzed between pts with and without events in the All BARI RA set using Cox regression. Incidence rates (IRs) are per 100 pt-years (PY) of exposure. Results: 3492 pts were exposed to BARI (7860 PY; median 933 days; max 2230 days), 2723 (78.0%) for ≥1 year; 1788 (51.2%) for ≥2.5 years. For ATE and MACE, the frequency of reported events and IR were low, comparable across treatments and analysis sets, and did not increase with prolonged exposure (Table 1). For DVT/PE, events (n=6) were reported for BARI 4-mg but not PBO during the 24-week PBO-controlled period. This imbalance was not replicated during 24 weeks after switch to BARI 4-mg from PBO (N=928, 1 event) or active comparator (N=451, 0 events). At longer exposure, DVT/PE IRs were comparable between BARI 2- and 4-mg doses (Table 1). Within the All BARI RA set, IRs were stable over time (Fig 1; overall IR 0.53), the frequency of permanent discontinuation following a DVT/PE event was low (n=5; 0.1%; IR=0.06), and factors (age, BMI, COX-2 inhibitor use, and prior history of DVT/PE) were identified that may contribute to increased risk of DVT/PE (Fig 2). Conclusion: MACE and ATE IRs were low and did not increase with prolonged exposure. For DVT/PE, IRs were similar between BARI doses and in line with published rates in RA. Disclosure: M. Weinblatt, Amgen, BMS, Crescendo Bioscience, Sanofi/Regeneron, 2,Abbvie, Amgen, BMS, Crescendo Bioscience, Corrono, GSK, Gilead, Eli Lilly and Company, Lycera, Merck, Novartis, Pfizer, Roche, Samsung, Set Point, UCB, 5,Lycera, Canfite, Scipher, Vorso, Inmedix, 1; P. C. Taylor, Celgene, Eli Lilly and Company, Galapagos, UCB, 2,AbbVie, Eli Lilly and Company, Galapagos, GlaxoSmithKline, Pfizer, UCB, Biogen, Sandoz, Novartis, Janssen, 5; G. R. Burmester, Abbvie, Pfizer, 2,Abbvie, Eli Lilly and Company, Gilead, Pfizer, 5,Abbvie, Eli Lilly and Company, Gilead, Pfizer, 7; C. Saifan, Eli Lilly and Company, 1, 3; C. D. Walls, Eli Lilly and Company, 1, 3; M. Issa, Eli Lilly and Company, 1, 3; T. P. Rooney, Eli Lilly and Company, 1, 3; T. Takeuchi, Astra Zeneca K.K., Eli Lilly Japan K.K., Novartis Pharma K.K., Mitsubishi Tanabe Pharma Co., Abbvie GK, Nipponkayaku Co., Janssen Pharmaceutical K.K., Astellas Pharma Inc,. Taiho Pharmaceutical Co., Chugai Pharmaceutical Co, Taisho Toyama, GSK, UCB, 5,AbbVie GK., Bristol–Myers K.K., Chugai Pharmaceutical Co,. Mitsubishi Tanabe Pharma Co., Pfizer Japan Inc., Astellas Pharma Inc, Diaichi Sankyo Co., Eisai Co., Sanofi K.K., Teijin Pharma, Takeda Pharmaceutical Co., Novartis Pharma, K.K., 8. Weinblatt M, Taylor PC, Burmester GR, Saifan C, Walls CD, Issa M, Rooney TP, Takeuchi T. Cardiovascular Safety – Update from up to 6 Years of Treatment with Baricitinib in Rheumatoid Arthritis Clinical Trials [abstract]. Arthritis Rheumatol. 2018; 70 (suppl 10). 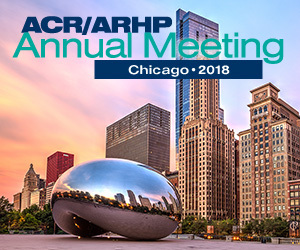 https://acrabstracts.org/abstract/cardiovascular-safety-update-from-up-to-6-years-of-treatment-with-baricitinib-in-rheumatoid-arthritis-clinical-trials/. Accessed April 20, 2019.